I saw this thread going around Facebook where you drop a line below the caption of a local brand, business or company that could use a little support. The idea behind this is that, the person creating the post would then support those businesses, instead of shopping large chain retailers this holiday season. I absolutely love this idea, and since I don’t own my own business, I thought I’d share a few brands that I’m completely obsessed with. What’s a holiday party without a candle burning in the background? If you’re anything like me, you can’t live without your home smelling delicious. 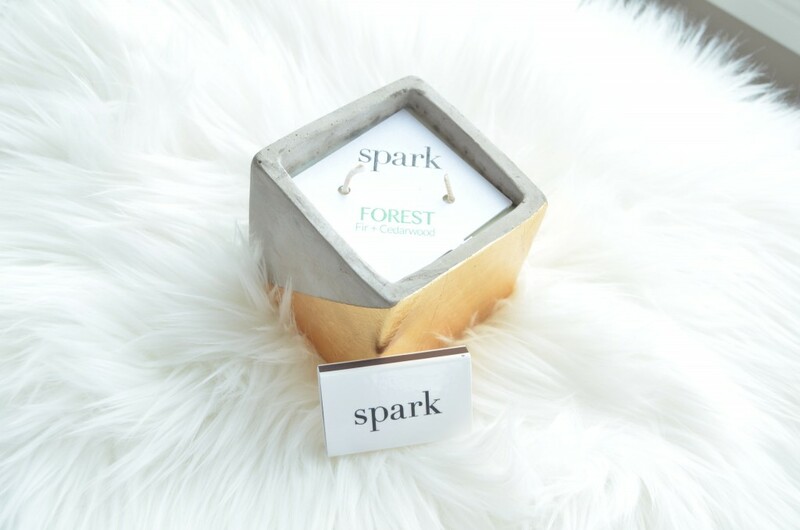 Spark Candles are hand poured in Canada, made from 100% soy bean wax and scented with essentials oils, imported from around the world. These would also make excellent hostess gifts. Give the gift of relaxation and serenity. My personal fave, Forest Essential Oil Candle. It smells like walking into a forest of evergreens thanks to its vibrant blend of crisp fir and cedarwood. It retails for $42.95. Matti B brings a fresh perspective to everything she creates. With a passion for empowering messages and whimsical designs, each item is created using only the finest pewter and manufactured in Canada and the US. Come see what inspires you, anything from secret messages on bangles to positive memos on necklaces, Matti B offers a wide variety of motivating and optimistic jewellery pieces. Items start as low as $5. Everyone can benefit from salt soaks this time of year. It’s an extremely busy, stressful and hectic season, and there’s nothing more enjoyable than soaking in a hot bath after a long, cold, winter day. Kismet Essentials Salt Soaks instantly create a relaxing, calming and detoxifying environment in an array of different bath experiences. Depending on your mood or preferred bath ritual, there’s a soak for you. 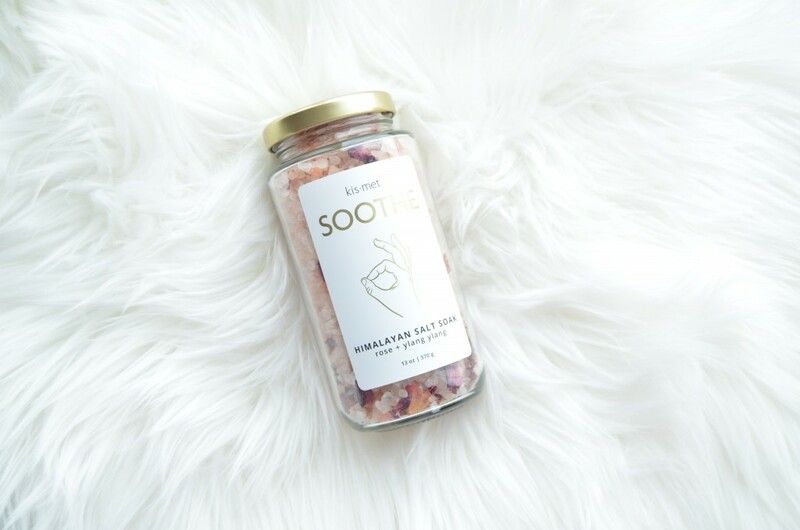 My personal favourite, the Soothe – Himalayan Salt Soak. It features rose, ylang ylang and pink Himalayan salt to instantly leave me feeling destressed, peaceful and tranquil. It retails for $19.99. There’s nothing I hate more than impersonalized e-cards. There’s something extremely satisfying about getting a greeting card in the mail from a friend. Just Greet collaborates with independent artists to create and design beautiful stationery, reinventing and changing the way we buy greeting cards. 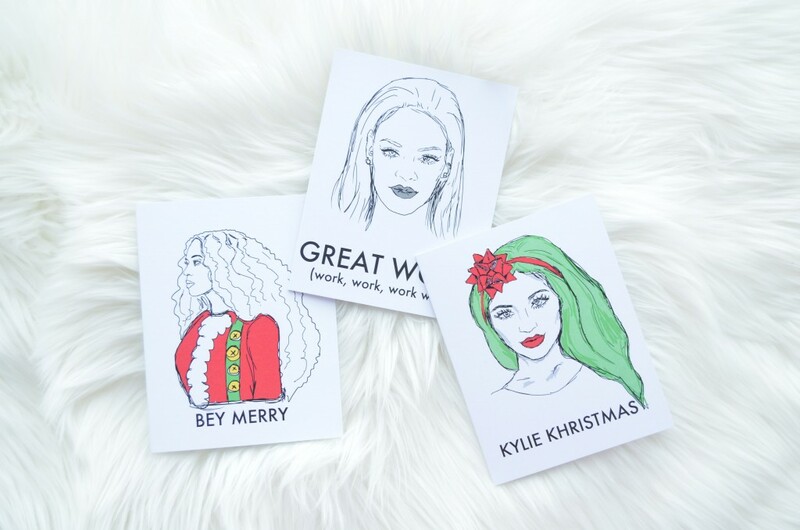 There’s a card for every occasion done in both quirky, elegant and pop culture creations. Every card is made of 100% recycled paper, right in the heart of Vancouver’s trendy Gastown district. Each card starts at only $5. Do you suffer from a sweet-tooth, Papabubble TO Candy has you covered. Each treat is handmade with love and uses only 5 simple ingredients (sugar, water, glucose, citric acid and colour). Each candy is filled with unique tastes and textures that can be personalized to whatever you like. 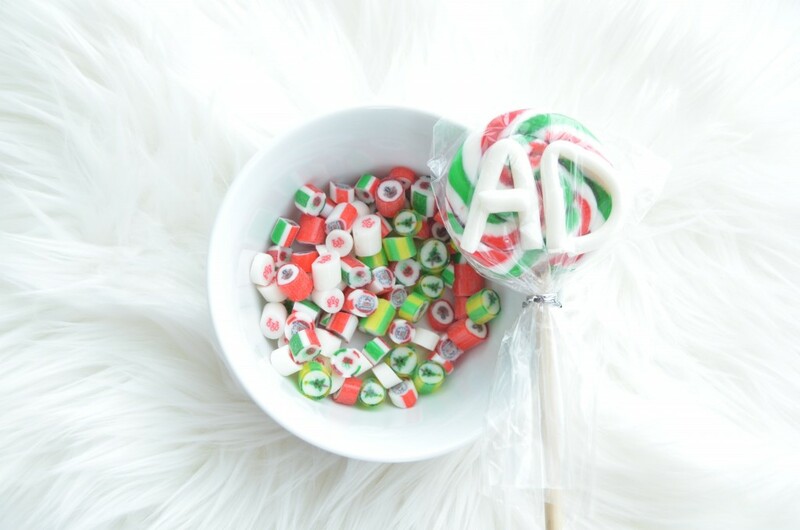 This is an amazing way to surprise your loved ones with customized candies, like this lollipop with my initials on it. Foxhound Collection is a hand-blended candle company created with love out of Nova Scotia. 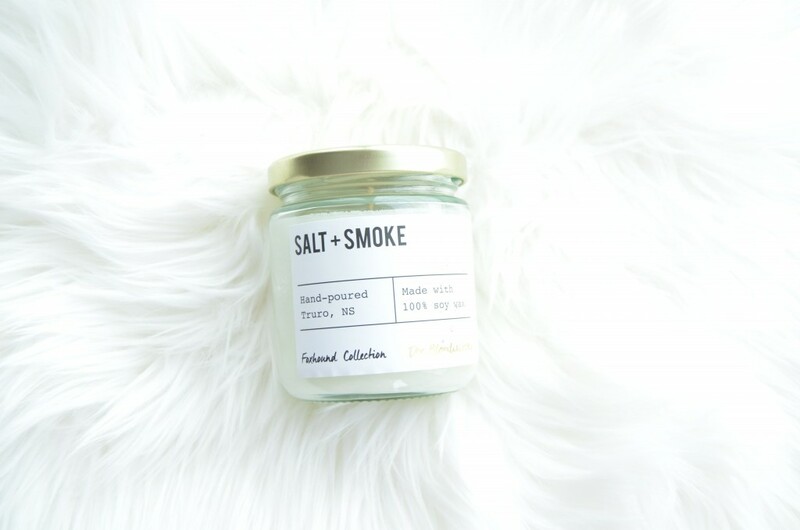 My amazing blogger friend, Kaylee, from The Blondielocks, collaborated with them to create a limited-edition Salt + Smoke Soy Candle. For anyone that loves a slightly masculine scent, like I do, this one is for you. It features notes of sea salt, vetiver, sage, balsam with a warm smoky base. It retails for $18. 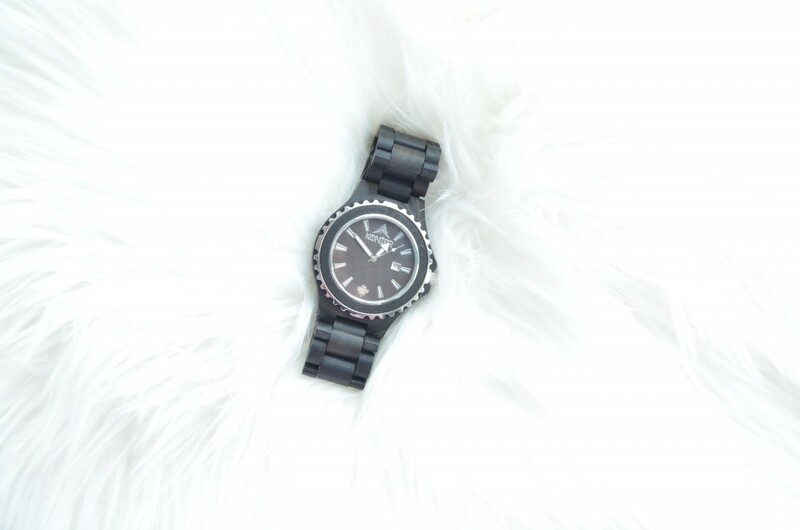 Give the gift of time with a new Konifer Watch. Wooden watches are the hottest trend right now and each Konifer watch is designed, created and handcrafted using only the finest and highest quality raw materials. It’s made right here in Canada and each piece is truly unique and durable. The Navigator, in black, can be enjoyed by both men and females and is sure to withstand the test of time. The dial of the watch usefully displays the date as well as the time. It’s a classic, yet somewhat sporty, and can instantly be dressed up or down depending on what you style it with. It retails for $180. JoeSCRUB is a brand I’ve been raving about for years. Each product is cruelty-free, 100% natural and organic, handmade in Toronto and instantly leaves skin feeling silky smooth and soft. JOESCRUB Charcoal Body & Face Mask is a detoxifying sugar face scrub that will heal your skin, relieve stress and stimulate and improve productivity. 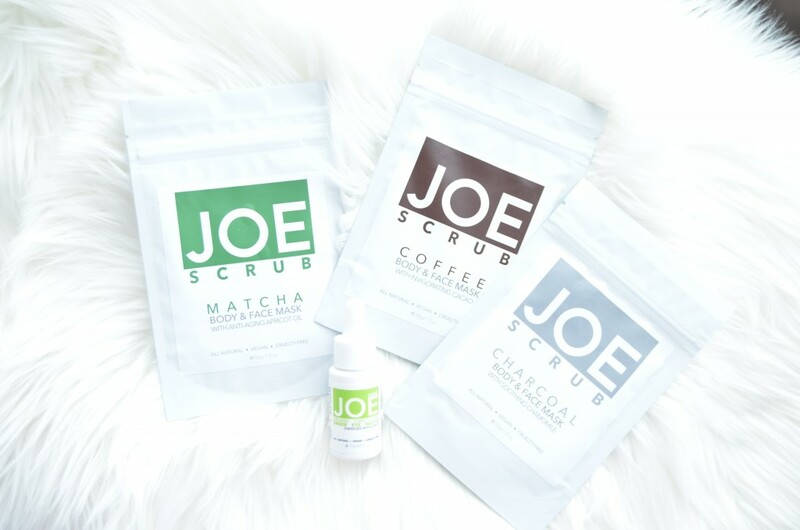 JOESCRUB Coffee Body & Face Mask is a rejuvenating coffee scrub that will help stimulate and increase blood circulation, releasing toxins helping to tighten skin, leaving skin toned and even. 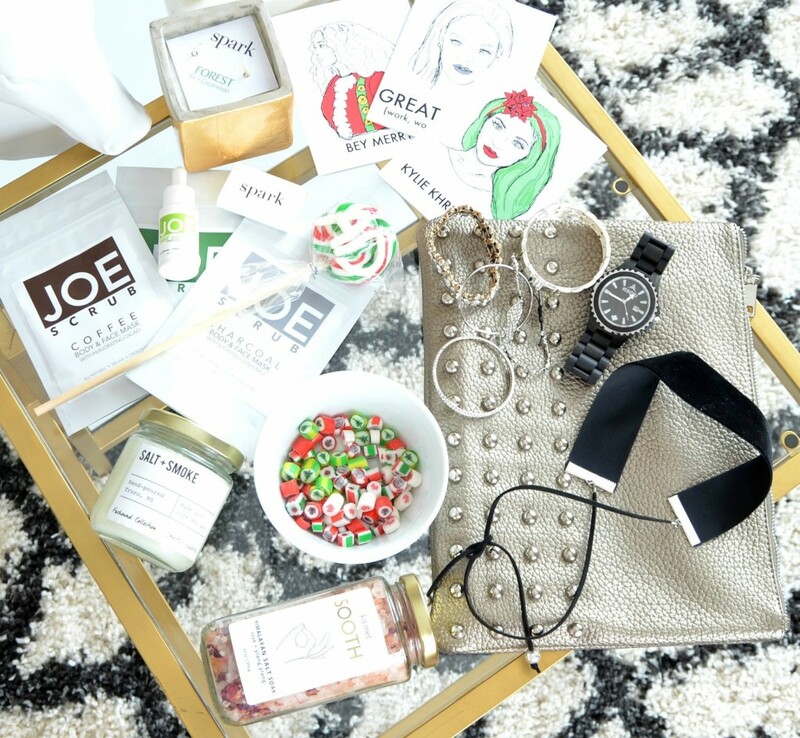 JOESCRUB Matcha Body & Face Mask is a detoxifying sugar scrub that will enhance your mood and boost concentration. Treat your friends to The Weekender, which consists of all 3 scrubs for only $14. 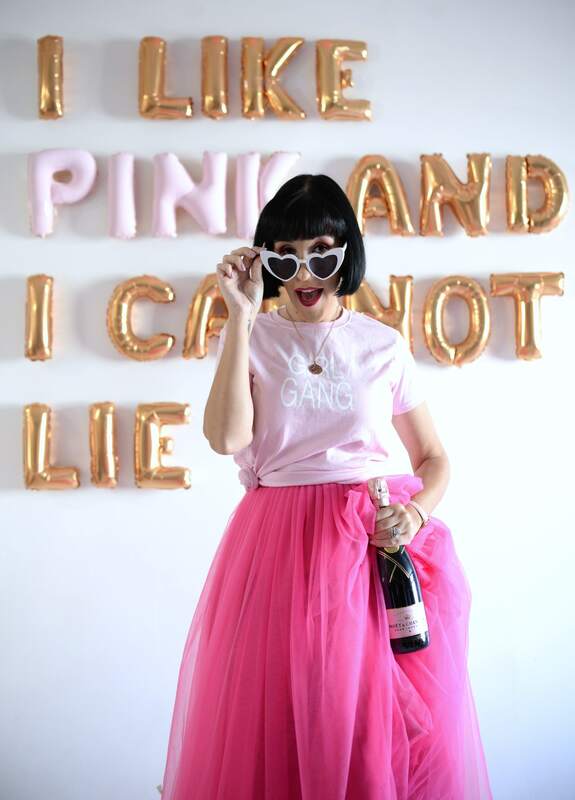 Nella Bella is a vegan designer handbag brand based in Toronto Ontario. The brand focuses on creating beautiful, trend-setting designs made from high quality fabrics that are both sophisticated and chic. Using eco-friendly materials ensures it’s lightweight and comfortable to carry the entire day. Each design is fashionable, yet functional. Their mission is to create handbags that are easy on the environment, yet leaves you feeling confident when you style them. The Duke Nu Soho Studded Clutch in pewter is brand new this season. I love how its effortless chic and cool, but the studded detail gives it a real rock n roll, edgy feel. It retails for $59. Whether it’s thick, thin, lace, velvet, metal, metallic, black, white or colourful, a choker is this season’s hottest accessory. Lisa Q of Sweden offers a wide variety of chokers than can be worn several different ways, depending on how you tie them. You’ve probably already seen them in several of my outfits of the day posts, but if not, I highly suggest checking them out. Prices start as low at $15.